MONDAY, THURSDAY & SATURDAY classes. 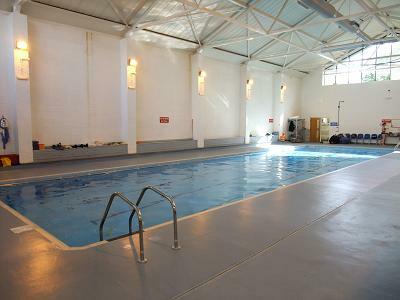 The pool is 20 metres by 8 metres. The depth starts at 1 metre & graduates down to 2 metres. It has a hand rail all the way around the pool & vertical steps for entry & exit. There is a ‘No Photography’ policy in place from the Northamptonshire County Council which we adhere to. Turn left from St Johns Road into the Gateway School complex. Keep left & follow the road down & around the school perimeter (there are 15mph signs along this curved road). The end of the road opens out into a large car park directly outside the pool house & along the outside sport courts.